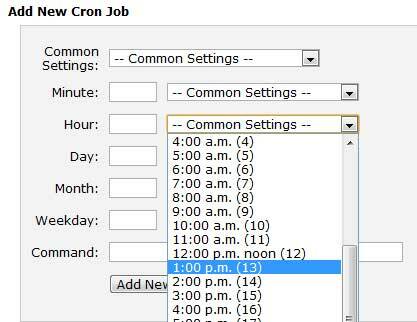 Cron jobs allow you to automate certain commands or scripts on your site. You can set a command or script to run at a specific time every day, week, etc. For example, you could set a cron job to delete temporary files every week to free up disk space. Here are few useful commands for newbie cPanel users, this will help you run scripts at a specific time. Just choose a timing in cPanel "Add new Corn Job" settings and enter following commands in command inputbox, where XXXX is your scripts name, hope it helps. Thanks a million. Your cron job commands are a "sites saver" for me.